Although it may seem counter-intuitive, dogs with long coats need to keep their fur trimmed during winter. With cold, snowy weather fast approaching it is essential for dog owners new and old to make sure they do everything they can to ensure their dogs remain safe, happy and healthy. To do that, pay particular attention to dog winter coat maintenance by making sure you keep your dog’s coat healthy and the right length. It’s not complicated. 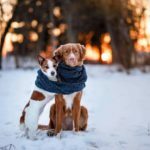 Follow these simple tips and techniques to keep your dog’s coat beautiful and healthy no matter how cold it gets out. If you have a short coated dog, then things are pretty straightforward. 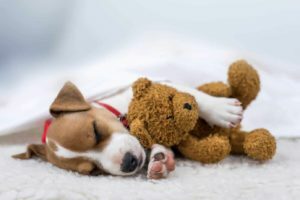 By reducing baths (which dries out the fur and removes oils) and increasing brushing (which helps keep the dog clean and spreads their body’s natural oils), you will find both your dog’s coat and skin naturally become more resilient to cold weather. By adding fish such as sardines to their diet or providing Omega-3 supplements derived from fish to their meals, your dog’s coat will become more healthy. Start adding fish and oils before winter if possible. If you’ve haven’t done that, it’s not too late. Now is a great time to start. In addition to the advice for dogs with short coats, those with long coats need specific grooming to better prepare them for the cold. The most common question is how long the coat should be? The short answer is, as long as you can manage. The longer the hair, the warmer the dog will be. 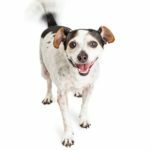 In northern states where the temperatures drop the lowest, you will want to leverage your dog’s natural coat as much as possible to keep him warm. Keep in mind, however, that longer coats require significantly more maintenance. 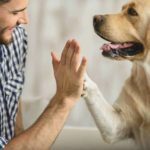 So you need to balance your dog’s warmth with your time and willingness to wash, brush and maintain his coat. The one exception to this hair length rule is in the snow. If snow or ice build up on your dog’s coat while the dog’s outside, it can cause discomfort. Snow tends to get packed between the paw pads and on the back of the dog’s legs. Keeping the hair trimmed short will help reduce that problem. Keeping the hair short may seem counter-intuitive, but in the snow, it is better to reduce ice buildup than try to keep their legs warm with longer hair. 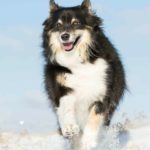 Too often we see long-haired dogs limping due to snow build up in their fur. It’s painful for your dog and cruel to leave the hair long on their feet when they have to go out in the snow. 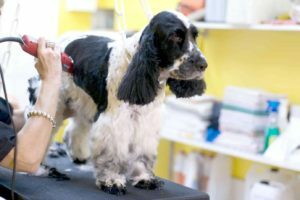 Shave the back of your dog’s leg and foot at 3/16 of an inch all the way up to the elbow using a suitable pair of dog clippers for your dog’s coat type. Don’t forget to trim the hair between the paw pads as short as possible. Usually, a straight 10-blade will be the correct length. Consult this handy dog clipper guide if you are unsure which clippers you need. The guide will help you find the type and style clipper most suitable for your dog’s coat. Sometimes your dog’s coat won’t be enough to keep him warm. In extreme weather conditions, consider dressing your dog in a jacket or sweater and cover his paws with boots. 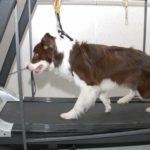 Use these simple rules to help keep your dog safe and warm, so you don’t have any excuses for staying inside and skipping those all-important daily walks.